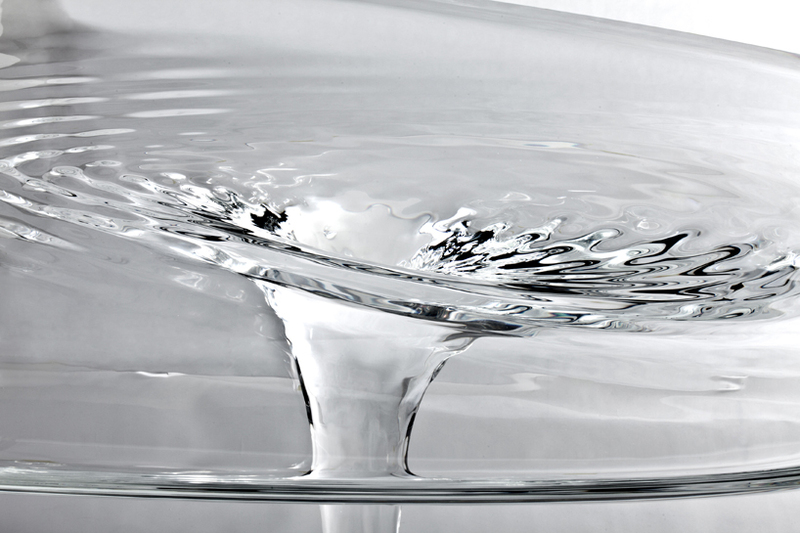 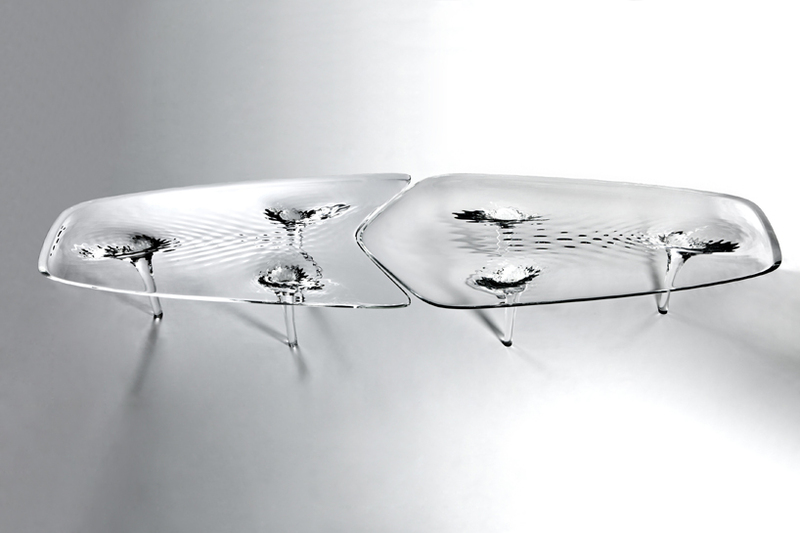 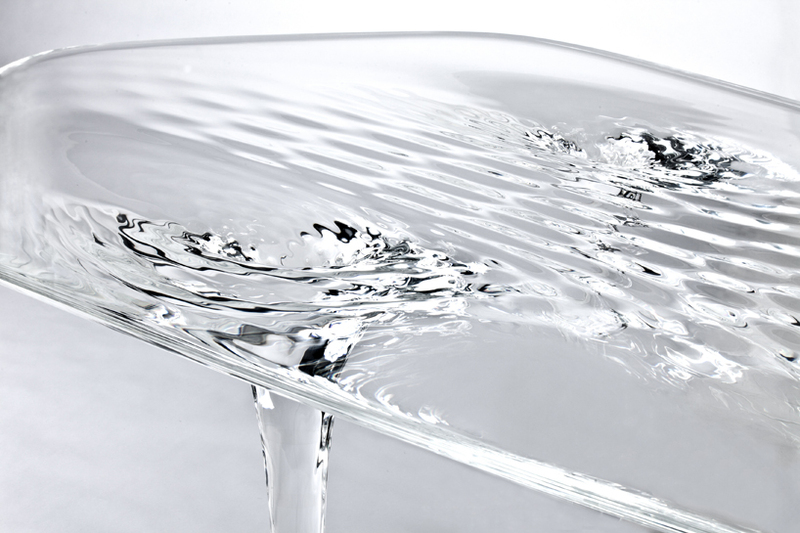 Zaha Hadid‘s transparent “Liquid glacial table” is a fluid furniture fixture resembling two interlocking puddles of clear water poured through three spouts, frozen in time and turned upside down. 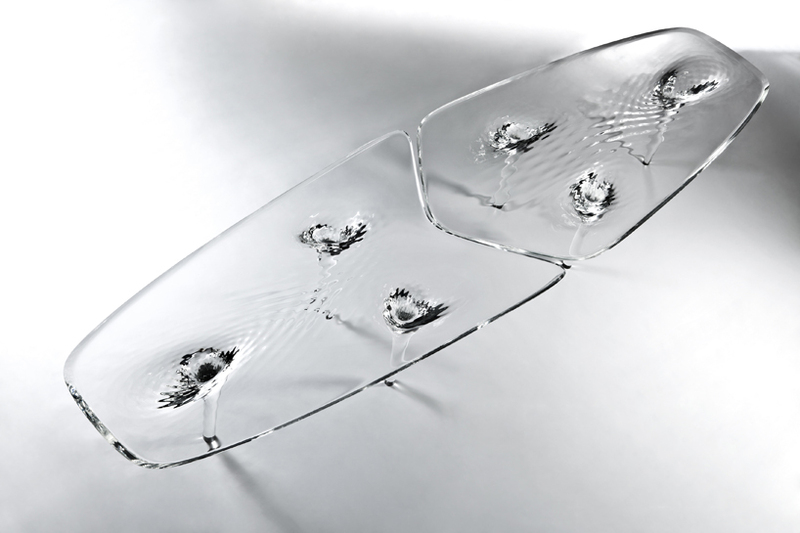 The process of production perfectly captured the subtle rippling patterns that ever so slightly bend light, giving a subtle delicate texture within the glass-like acrylic surface. 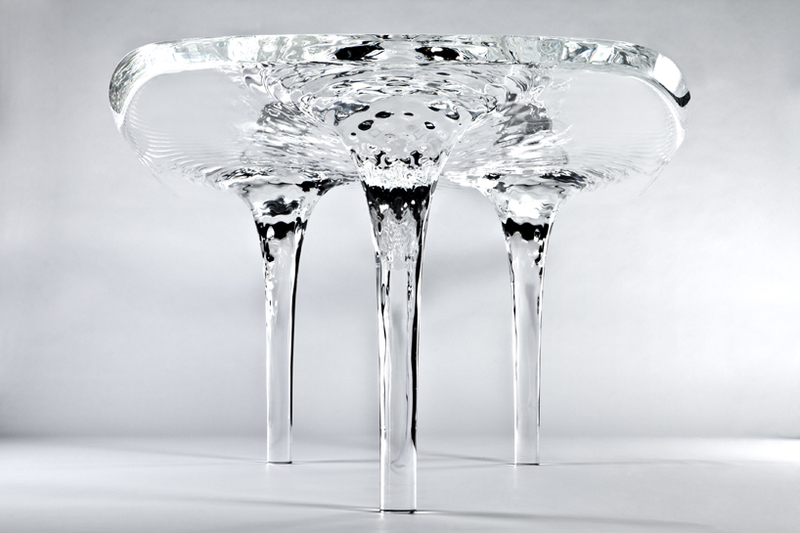 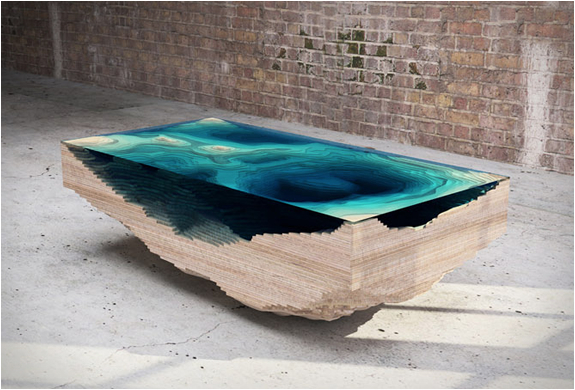 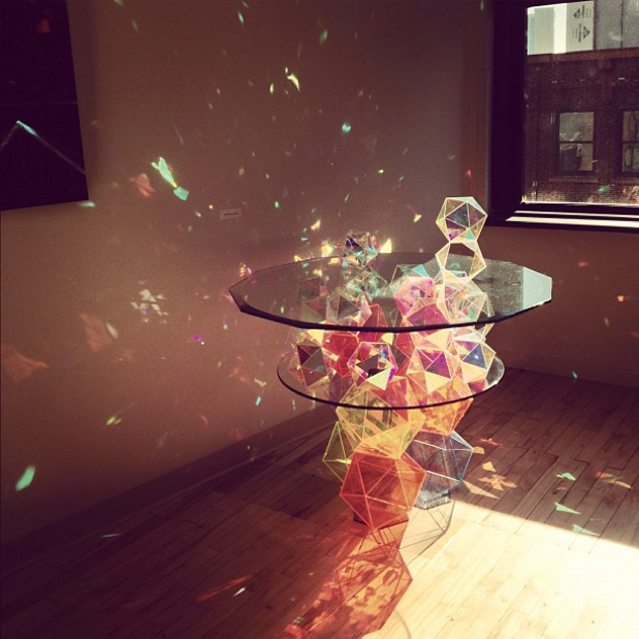 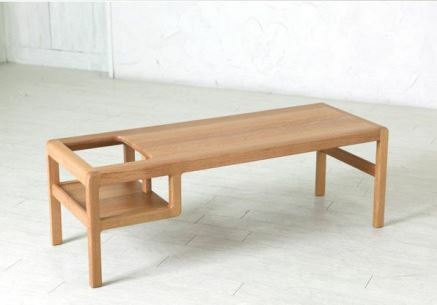 The table is milled and hand polished to capture the refractions of the world that surrounds it.